Visitors are one again allowed onto Gediminas Hill in central Vilnius after a break of around eight months, the National Museum of Lithuania says. "Vilnius residents and guests are once again being invited to visit Gediminas Hill and Gediminas Tower. Everyone will be able to walk onto the hill taking the historic path from the side of the River Vilnia," the statement reads. Visitors will be allowed from 7 a.m. to 9 p.m.
Gediminas Hill was closed for visitors on Nov. 4, 2017 due to landslides and subsequent work. 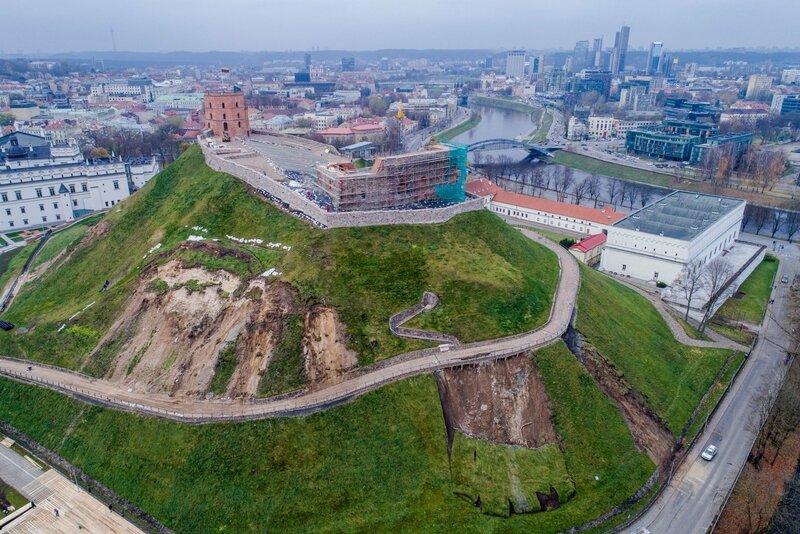 The Ministry of Culture is to make a decision on how to continue restoring Gediminas Hill, lrt.lt writes.